All the winners from the Cork AUL Annual Awards presentation in The Kiln, Heineken Ireland (16 August 2013). Photos Martin Conlon. 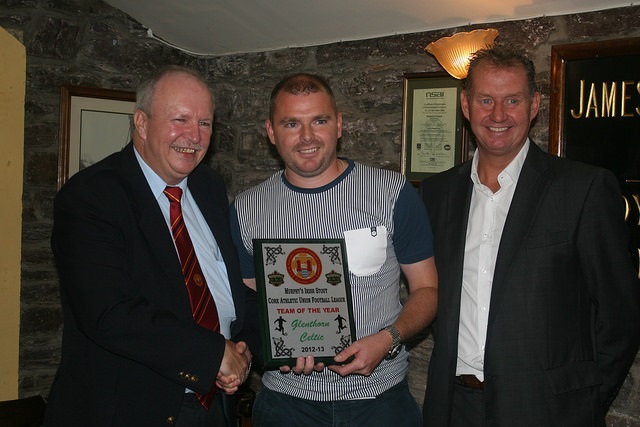 Glenthorn Celtic Johnny Cooney receiving the Team of the Year award from Martin Conlon. Also in picture is Jim Cashman, Heineken Ireland. 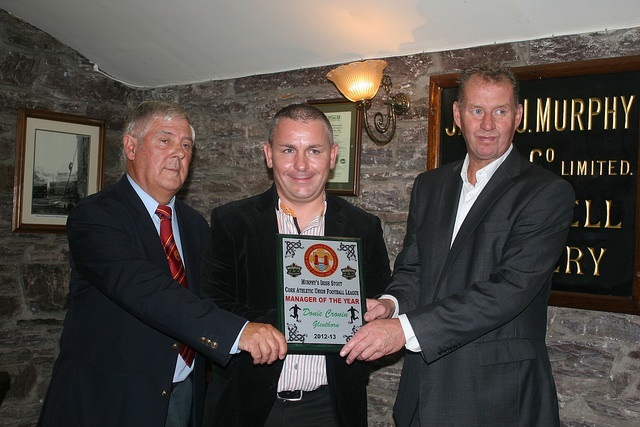 Donal Cronin (Glenthorn Celtic) receiving the Manager of the Year award from Ted O’Mahony. Also in picture is Jim Cashman, Heineken Ireland. 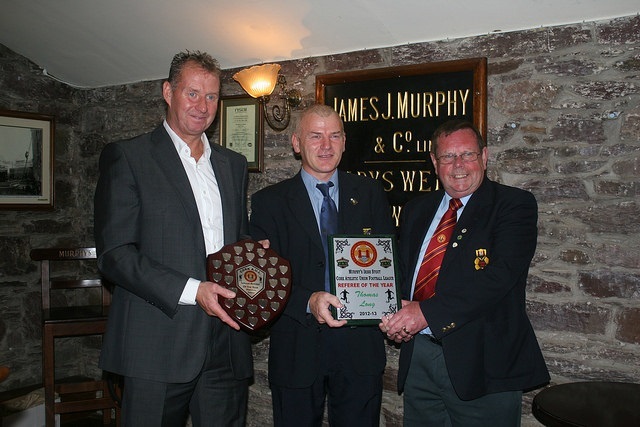 Thomas Long receiving the Referee of the Year award from Tom Fitzgerald. Also in picture is Jim Cashman, Heineken Ireland. 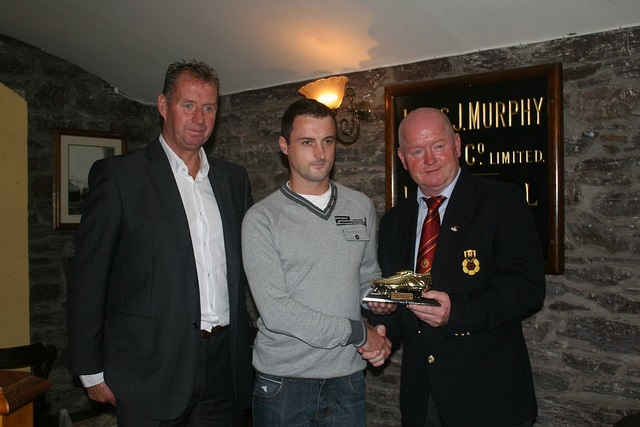 Alan Greaney (Kilreen Celtic) receiving his Golden Boot award from Denis Crowley. Also in picture is Jim Cashman, Heineken Ireland. 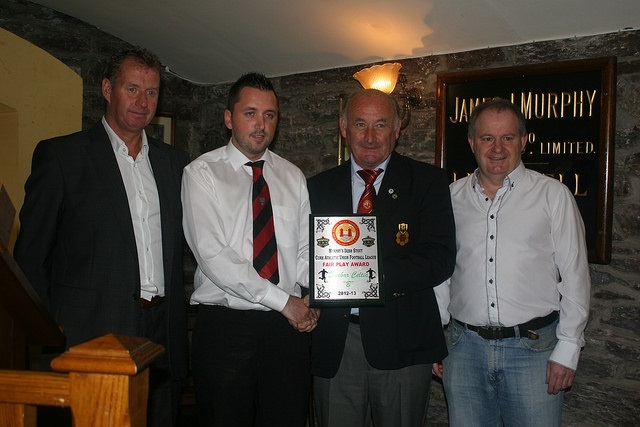 Dunbar Celtic B: Dunbar Celtic B receiving the Fair Play Award from Richard Browne. Also in picture is Jim Cashman, Heineken Ireland and Timmy Hewitt.